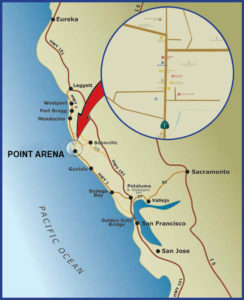 Put on those costumes and bring the family to Point Arena for Halloween fun! Main Street merchants will hand out treats starting at 5:00. Then get ready to dance to the Roots, Rock & Reggae rhythms of Sol Horizon at Arena Theater. Opening band, RaWisdom, starts at 8:00. Tickets are $15 general admission, and $10 for 18 and under. 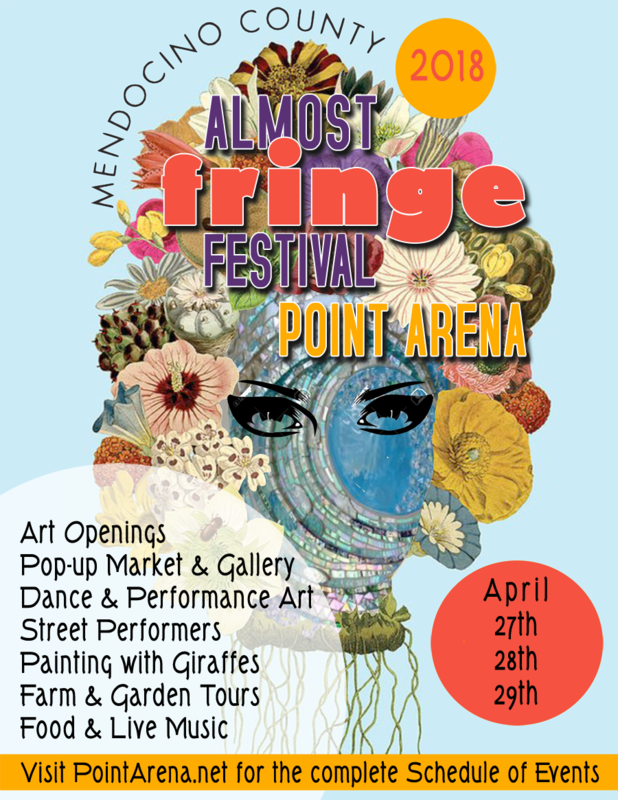 Point Arena Fringe Festival is almost here! April 27, 28, 29. A talent show, street performers, special events, entertainment, food, and surprises. 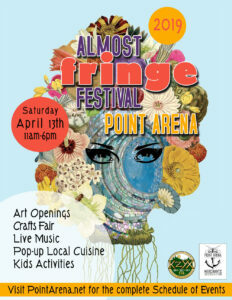 Come out and celebrate our local arts culture with us. Learn more.